Second rule of caipirinhas is that you will walk into a liquor store looking for cachaça, and the pregnant lady behind the counter will get up on a ladder in front of all the rums trying to figure out what you mean and she will repeatedly try to get you to buy Rumchata but that’s not what you need. 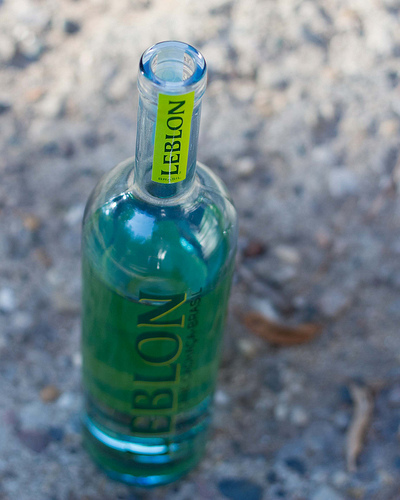 Cachaça is a Brazilian rum that’s made from sugar cane, versus the typical rum that is made of molasses. I guess. I don’t know a lot about rum. Or Brazil. Or sugar cane. So, y’know, you may want to hit the Googles if you need more information about what you’re drinking. Or, you can just disregard all that stuff and make it anyway. 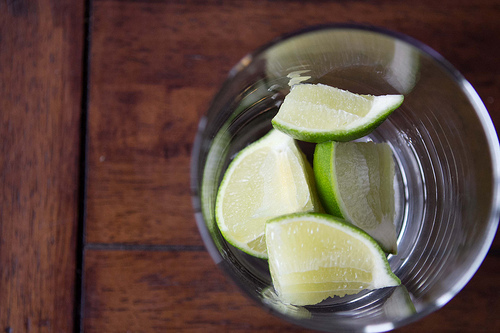 Once you’ve actually found cachaça, you can rest easy: The hard part is done. Seriously. 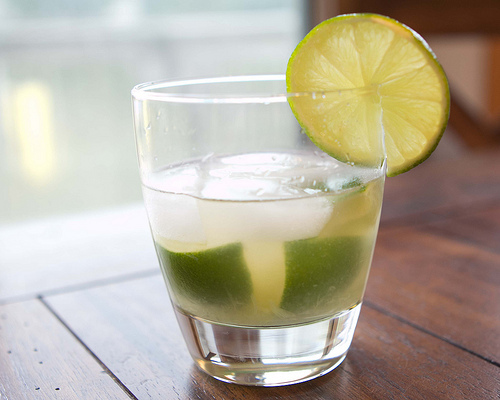 Caipirinhas are actually easy to make – quarter half a lime and add the limes and two teaspoons of sugar (raw or turbinado) to your glass. Muddle ’em. If you don’t have a muddler, and I don’t, you can improvise with random kitchen utensils, like a rolling pin or a wooden spoon. Muddle them good. Trust me. Add two ounces of cachaça. Add ice. Stir a bit. Cheers. Sigh. Here’s the thing. I don’t drink a lot of rum. This may have been better for me had I used a simple syrup (the recipe said you could sub 1/2 an ounce of simple syrup for the raw sugar), or, as a coworker suggested, agave nectar. And because I’m a bit of a lightweight, I may have further wanted to destroy the authenticity of my cocktail and diluted it with club soda (Whatever. I’m not a purist when it comes to following recipes anyway.). Will I make these again? Well, sure. I have a whole lotta cachaça left. But, I’m thinking I’m more likely to try the strawberry-basil-cachaça recipe that was included with the bottle of cachaça, and give that a whirl. Something tells me that that might be really tasty because… BASIL. And prettier because…strawberries. Why haven’t they invented a way for us send each other drinks via some sort of teleporter, like in Star Trek? I could really use one of those right now! I would totally send you one if I could. Two even. And not just because I have a lot of cachaça left.